Save the Children’s Get Ready Get Safe initiative is designed to help US communities prepare to protect and care for the most vulnerable among us in times of crisis – our children. We keep kids safe, securing the future we share. We’re pleased to work with Michele Gay and Safe and Sound Schools to help ensure that children can be safe in all types of emergency situations. Almost two years have passed now since the morning I packed up my three daughters and sent them off for another day of school in Newtown, Connecticut. With my husband returning from a week of work in Massachusetts and our youngest daughter Josephine’s 7th birthday party set for Saturday, our family was excited for the weekend. But only two daughters were returned to me at the end of that day, December 14, 2012. 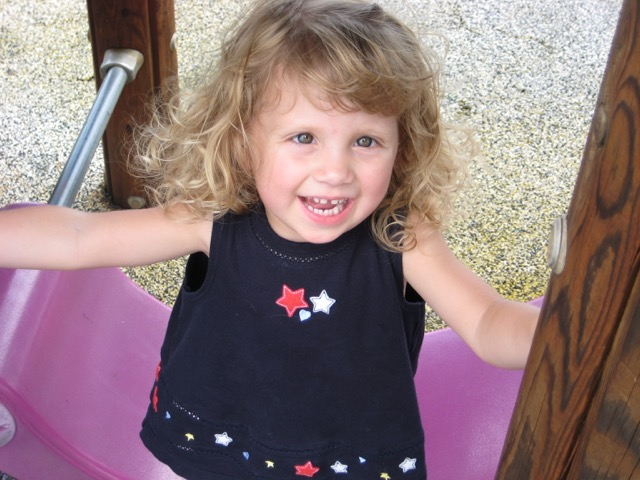 Joey was killed in her first grade classroom only moments after I dropped her off at the front door and into the loving arms of one of her teachers at Sandy Hook Elementary. Since the long, desperate hours we spent that day, waiting to receive the words that would forever change our lives, we’ve learned that she has never really left us. As a family of deep faith—and with the support of family, friends, and others near and far—we have discovered in many ways, how Josephine lives on in this world. She has called us—all of us—to do better by our children. We cannot take back the choices of the man who attacked and killed Joey, and 25 of her beloved friends and teachers at school that day. Nor can we take back the mistakes and blatant inactions of so many that allowed his profound mental illness to fester to the point of such unprecedented tragedy. But we can, at least, do better, by our surviving children and our school communities. To do better, I work in my Josephine’s name, for safer schools in America. I founded Safe and Sound with Alissa Parker, in honor of Joey and her dear friend Emilie Parker, also killed on December 14, 2012. Our nonprofit foundation is dedicated to educating and empowering school communities, parents, students, teachers, administrators, emergency responders, and mental health professionals to make our schools safer—together. Safe and Sound is a hub of free school safety resources designed to help guide communities across the country as they too look to “do better” for the precious people who come to grow, learn, and teach in school every day. With a panel of national school safety professionals, we develop and collect best practice materials and resources. We travel the country visiting, speaking, and teaching in school communities and for professional organizations about school safety and looking for partners in advocacy, education, and community support, partners like Save the Children. In this work, we’ve learned a great deal. From Save the Children, we learned that more than 21 states lack basic safety standards for schools and child care. From the U.S. Department of Justice, we learned that the national average response time to an emergency is about six minutes. Most tragedies like ours are over before help even arrives. And from the National Fire Academy, we learned that our nation has not seen a single fire related death in a K-12 school in over 56 years, since the inception of fire safety education and protocols. Sadly, we cannot say the same for other school safety issues like suicide, bullying, severe weather, natural disaster, physical assault, or armed attack in our schools. In all that we’ve learned, perhaps nothing is more important than this fact: We—parents, educators, leaders and community members—are not powerless in keeping our children safe in school. Today (December 11), on Joey’s birthday, we invite you to join us, not only in her memory but also in honor of the precious children in your life. Visit us at www.safeandsoundschools.org, where you will find a wealth of information and experience to help you work for safer schools in your community. Check out our free, printable toolkits at http://www.safeandsoundschools.org/straight-a-security/. Support our mission for safer schools. It’s time to get to work together for safer schools today.